No budget, no confidence and no time? No worries. 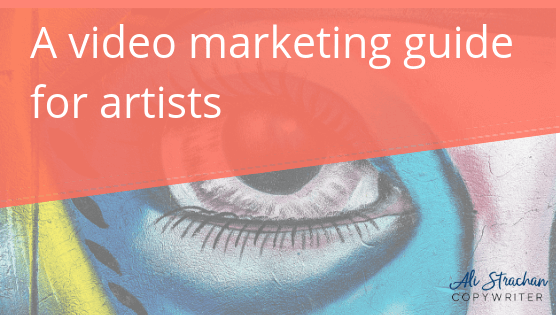 So, you think you lack the skills and equipment to include video in your marketing? Nothing could be further from the truth. When it comes to the different types of content marketing at your disposal, video gets a bad rap for being expensive, super technical and difficult to get right. The truth is, it’s really not. In this post, I’ll guide you through my five-step video marketing guide that will help you create videos you’ll be happy to share (and give you results). Let’s say, your number one goal right now is to attract more customers. 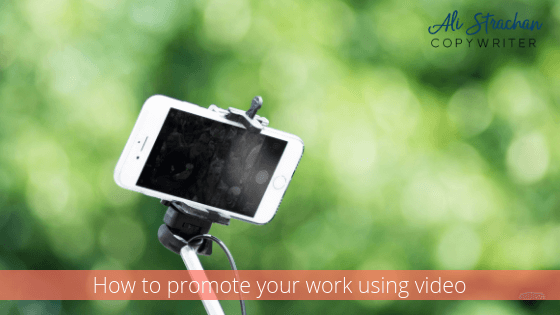 Let’s look at the types of videos that might form part of your strategy to do this. If you’re anything like me, I’ve created a few hundred videos that have never been shared with anyone except my cat. At the time I just thought they didn’t feel right. But in hindsight, I realise that the clips I did share, felt good because they helped me reach my goal. So, not only does creating a strategy prevent you from wasting time making videos that don’t seem to have a purpose, it’ll stop you losing confidence because you feel like you’re scrambling for ideas to make this whole video thing work. How do you attract more customers using video? By cultivating your personal, creative brand and targeting the people you want to do business with, you’ll attract the right kinds of clients. Once you know which types of videos you want to create to achieve your goal, it’s time to plan it out. So, if your goal is to attract more customers – you might decide to create an FAQ video that answers common questions about what you do. Start by writing a list of every possible question you get asked. 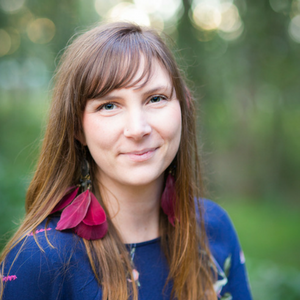 For example, I often go to networking events or meet other creatives and when I’m asked what I do, they often don’t know what a copywriter is. So, I might create a video for my YouTube channel (that I can share on my website and social media) that tells my target audience exactly how I help can them in their business. Voila! People who didn’t even know what copywriting was before – will suddenly be able to see how I can help them with their content and attract more clients to their business. It might seem obvious, but procrastination and lack of planning are the two most common things that stop people from making videos. And I know this from experience! The only way it gets done is by setting aside the time to plan, script, shoot and edit. Of course, you don’t have to do it all. A professional scriptwriter (like me!) can help you nail your script, so it feels and sounds natural, and grabs your customers’ attention. Then you can shoot the scripts you have, using your iPhone or Android smartphone and use one of the many editing apps to polish them. If you batch your shooting and do them all at once (feel free to change clothes to make them look distinct), then you’ll be ahead of your video marketing for the next month or two and you’ll have more time to plan the next batch of videos for your marketing strategy. So, you’ve set the day aside and you’re planning to shoot 5 videos that you want to share over the next month or two. Fab! Here are some quick tips on how to have them looking professional (without the cost of hiring a videographer to shoot them for you). Choose your space wisely: Find a well-lit, uncluttered space that isn’t noisy. Even ambient noise from shopping centres and cafes can make it hard to hear you. If your space has lots of natural light, make sure the camera is between you and the light source. Or, you might purchase a ring light, with a phone cradle. I use both, picking a space in my home with good natural light that I can highlight with a video light I purchased with my DSLR. Get a cheap backdrop, or use props to “set the scene” of your video. Scour eBay for some cheap deals or grab a nice canvas from Kmart and pop it behind you. Consistency with your video background will help give people a way to recognise your business over time. Keep your camera steady: Holding your phone when recording can mean the footage is shaky, hard to watch and gives it an amateurish feel to your videos. There are times when it’s unavoidable, (like during live events) – but in these cases, you might like to invest in a selfie-stick to help you out. Instead, prop your phone on a shelf or use a tripod to record a steady video in selfie mode. Whether you’re sitting or standing, aim to have the camera at eye-level, and practice looking at the lens on your phone (rather than your face on the screen) when you’re recording. There’s nothing worse than watching a video where the person talking looks like they’re talking to someone off camera. The aim is to connect with your audience, so this means looking straight at them. If you’ve bitten the bullet and got this far, congrats! I know it’s not easy when you first get started. The good news is that the longer you do it, the easier it gets. When you’re doubting yourself – it’s easy to just keep redoing the take over and over. But this means that you’ve got a stack of videos to edit together and this can be painful. So how do you avoid that? Set yourself a limit as to how many takes you’re going to shoot. Five. Tops. Any more and you’ll never get through all your editing. To avoid having to re-shoot, here are some tips to consider while you’re recording, to avoid editing pain later. Consider how you’ll share your video: Most videos will need to be recorded in landscape, turning your phone on the side. But if you’re posting to Instagram as a story or as an IGTV video, you’ll need to record in portrait mode. Think about how you’ll share these videos and if you need to record a version in both portrait and landscape to capture different audiences. Shake it out!If you’re nervous about what you want to say, shake it out. Literally. Have a jiggle and a laugh in front of the camera and record some outtakes of you being silly before you start properly. I found this to be so helpful in dispelling some of the pressure to get the takes right. Then take a deep breath and smile. That’s right, smile! Make sure the very first frame and the very last, is one of you smiling. You’re guaranteed to find a great still to use as the cover of your video – and you’ll appear friendly and professional. It’ll be obvious if you’re concentrating too hard on the words coming out of your mouth. You’ll appear a bit robotic, and not at all like yourself. Slow your speaking down, and try to relax. I know, I know, easier said than done! Expect mistakes: Even the pros have to edit out parts where they fumble their words. You don’t need to stop recording every time you make a mistake. Just pause a moment and then continue on. It’ll be easier to cut parts out of a single recording than to piece together multiple takes. Invest in editing software: If you’re going to invest in anything – it should be decent editing software. But it doesn’t have to be expensive. I love Filmora. It’s easy to use (and not too technical to get your head around) and not that expensive. And you can give it a try for free to see if you like it. How much does my customer know about me? Do they know what I do, who I am and how I create my work? Are they familiar with my brand? Do they understand my vision/philosphy? Do I have an event or series of works to promote? What questions do I get asked regularly about what I do? What do I want my customer to do at the end of the video? Chances are, when you answer those questions – you’ll find content you can create video for. And look, like you, I find creating videos a real challenge So, I’m inviting you to join me this month in a good friend’s 30 day video challenge. It’s time to get serious about your marketing and video really is so powerful. Come and join me in Jenny De Lacy’s amazing online group – and kick those nerves to the curb. Have you taken the plunge and are using video to market your creative business? Got any tips to share? We’d love to hear them.